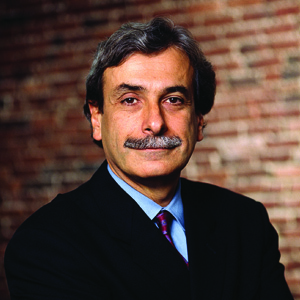 David Manfredi is nationally recognized for his planning, design, and placemaking work. As a founding principal of Elkus Manfredi Architects, David has been privileged to work with a variety of institutional, higher education, and corporate industry leaders from across the country on all types of planning and building projects. He has pioneered the prototype design of urban, high-rise research buildings to support the collaborative imperatives of today’s science. His work is driven by interaction and collaboration with the full range of stakeholders, and he excels at community presentation and consensus building with diverse groups. Recent life science projects for which David has led the design include the 150,000-square-foot New York Genome Center, a consortium of leading academic, research, and corporate organizations that have joined together to leverage their collective resources to speed the development of research in a new way; The Broad Institute of MIT and Harvard, a two-building research center that offers a combined 603,000 square feet of research and office facilities where researchers can think, create, and investigate; Vertex Pharmaceuticals, a new 1.1. million-square-foot research and administrative campus in Boston that brings all staff into one location from 11 separate sites, and promotes creative interdisciplinary collaboration; administrative offices for Novartis Institutes for BioMedical Research that represent the vision, bold initiative, and openness of this leading biopharmaceutical company; the new building and fit-out for Pfizer Inc.’s laboratory and office space at MIT’s Osborne Triangle in Cambridge; and Alexion Pharmaceuticals’ new headquarters on air-rights above Route 34, between the Yale School of Medicine and downtown New Haven. A graduate of the University of Chicago and the University of Notre Dame, David Manfredi has practiced architecture for 35 years. He is a Fellow of the American Institute of Architects, a member of the Boston Society of Architects, and is a LEED Accredited Professional. David is frequently asked to present to professional organizations on a range of industry-related topics.